All Kimball Junction homes currently listed for sale in Kimball Junction as of 04/18/2019 are shown below. You can change the search criteria at any time by pressing the 'Change Search' button below. If you have any questions or you would like more information about any Kimball Junction homes for sale or other Kimball Junction real estate, please contact us and one of our knowledgeable Kimball Junction REALTORS® would be pleased to assist you. "LOWEST PRICED FOX POINT. TOP FLOOR, CORNER UNIT. BRIGHT, SUNNY, AND MOVE IN READY. 2 BR/2BA. GARAGE WITH WALK UP TO CONDO. PORCH WITH SKI RESORT VIEWS. WOODEN BLINDS AND ALL APPLIANCES ARE INCLUDED. BRAND NEW CARPET AND GLEAMING HARDWOOD FLOORS. TOP OF THE LINE WATER SCIENCE PURIFIER AND WATER SOFTENER. IS ALSO INCLUDED. WALKING DISTANCE FROM THE 1500 ACRE SWANER PRESERVE, HIKING/BIKING TRAILS, THEATERS, RESTAURANTS, ETC. 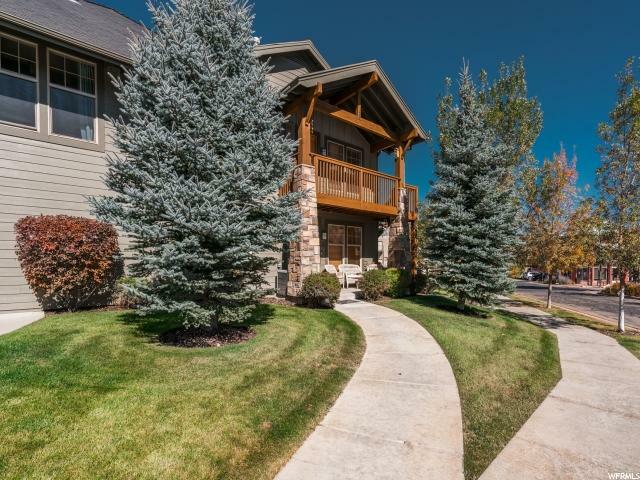 THIS IS THE PERFECT SPOT FOR A FULL TIME RESIDENCE, SKI CONDO OR INVESTMENT PROPERTY. EASY TO SHOW. "